Last weekend, the Sands of Inaros update (Update 18.5) launched on the PC version of Warframe, the free-to-play action shooter. The first of several huge updates planned for the game in 2016, Sands of Inaros introduces a new warframe (Inaros) as well as a ton of new content and features to the game. New Warframe: Inaros is an ancient Egyptian themed warframe with a mummy aesthetic. His abilities (Desiccation, Devour, Sandstorm, and Scarab Swarm) concentrate on crowd control, health leech, and shield restoration. New Quest: The new quest added to the game is entitled the same as the update: Sands of Inaros. Players will be tasked to help Baro Ki'Teer in finding his buried treasure beneath the sands of Phobos. New Enemies: The Feral Kavat, Hyekka, and Hyekka Master enemies have all been added to the game to provide more variety to the things players fight. New Weapons: Lesion (melee weapon with defense piercing), Mutalist Cernos (bow with a poison spread), and Dual Toxocyst (bioweapon that releases toxic munitions) have all been added to the game for diversity in players' arsenals. New Features: Arsenal improvements (e.g. search and randomize options), chat UI overhaul (visual reskin and added Emoji), major lighting improvements, and improvements to enemy AI in Interception Missions have all made it into this update. A whole lot more has also been tweaked, changed, and fixed, so if you want to know all the details, head over to the Warframe forums for the official update post (in the source link below). 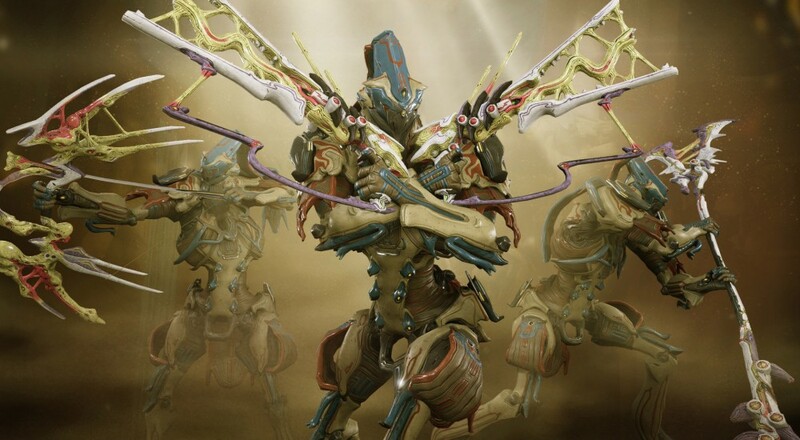 For console players, worry not: Sands of Inaros is currently being worked on for console versions. There is no specific release date at this time, however. Warframe supports 4-player online co-op on PC, PS4, and Xbox One.